We had a busy weekend. 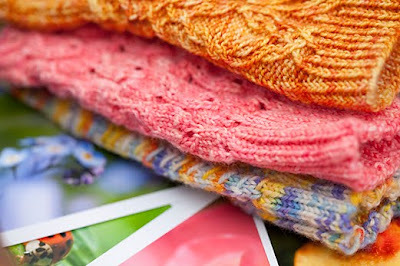 Some knitting, lots of photography, a trip to the Rebuilding Center to look for cool stuff, out to brunch...it's amazing all that one can accomplish when they have a weekend off from work! Look who came out of hiding? Lohengrin! It's about time she got back into the queue! 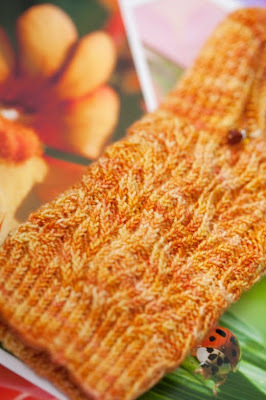 The Paul Atwell sock is coming along nicely...This sock is in Dashing Dachs 'Speckled Wildflowers'. I purchased the yarn from Woolgirl, but I'm not sure who else might carry it. Hmmm...it looks like there is a new sock in the bunch! What's a girl to do when she's been test knitting and hasn't made significant progress on existing projects for knitterly blog entries? Yep...Quickly cast on a new sock to create variety! 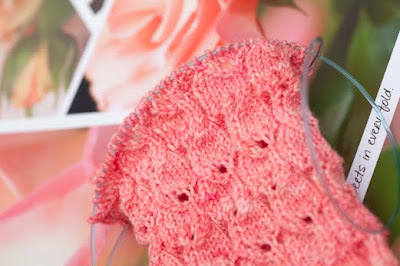 This one is Keukenhof by Anne Hanson in Miss Babs' 'Dahlia'. Did you all remember to spring forward this weekend? Wasn't that extra hour of light glorious on Sunday?! I'm loving it! can be preserved only by the most delicate handling. that's funny! Yes there are a lot of flowers at the keukenhof. Nice Spring colors and text!! Your socks all look lovely! Yes, I remembered but I still don't like it. I'm loving the new sock. Got to add that one to the queue. Glad to hear you had a great weekend. Happy springtime! It is like that extra hour of daylight tonight made up for losing sleep. A photoshoot at 6:30pm with gorgeous light tonight...oh yay!! And speaking of spring...love love love the socks!! Such gorgeous colors! 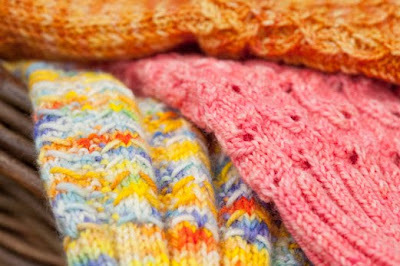 How is possible that you make/knit something look so good. 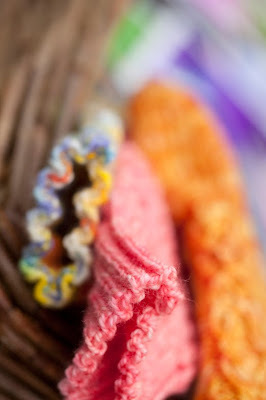 "Sock candy"...the colors and textures are fabby, Gail.You are so talented. 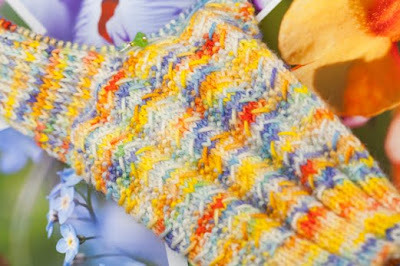 Girl, your photos are going to make me WANT to knit socks yet!